The best white water in New England is right here in Maine! 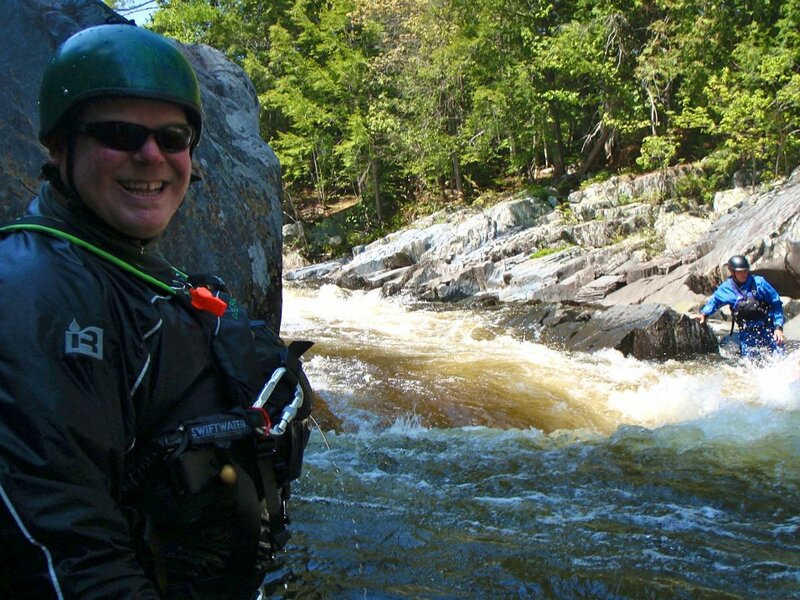 Come ride the big waves and crashing white water with us, here at Northeast Guide Service in Greenville, Maine. The most fun I've had all summer has been on the Kennebec River and the Penobscot River. Kennebec's class III-IV rapids are huge rolling waves, that lifted me off my seat. I had a smile across my face the entire time we were paddling through the waves and rapids that made me feel like I was on an amusement ride. 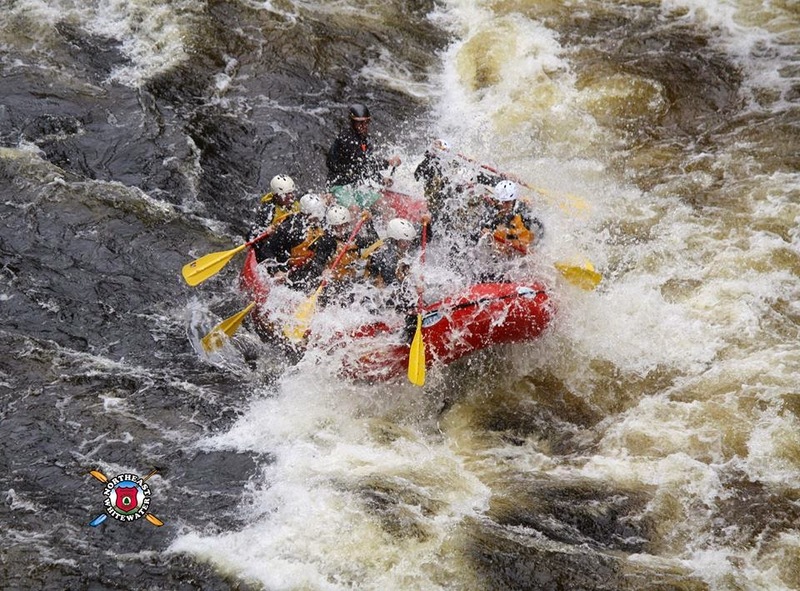 It was just great fun, and I never felt scared, even though Magic Falls, the gnarliest feature on the Kennebec River trip was certainly a massive bouncing splash ride all the way down to the bottom of the falls. A fun high intensity ride, that paid off soon after when we took out for a big healthy hot lunch that the guides cooked for us right on the plush green banks of the river itself. We had a fire and grilled steaks, and we all had our fill of brownies, too. The rest of the trip let us enjoy the scenery around us, and we saw an osprey and an eagle. The Penobscot River was the most intense ride of my life! We hit the gorge's class V rapid, the Exterminator! WOW! What a huge pushy rapid! All the features in the gorge were rapid fire, and I was so focused on my paddling, that the thought of getting bounced or sucked out of the raft by the Penobscot's crashing waters left me. The next set of features is called the Cribworks! It looked SCARY! But it was the most fun part of the day to me! We avoided the rocks sticking out of the water, and slid smoothly down a drop at the end that felt like a log ride! It was Awesome! Looking back up river at it was like, " Woah, did we just do that?!" These rivers are the BEST White Water Rafting! 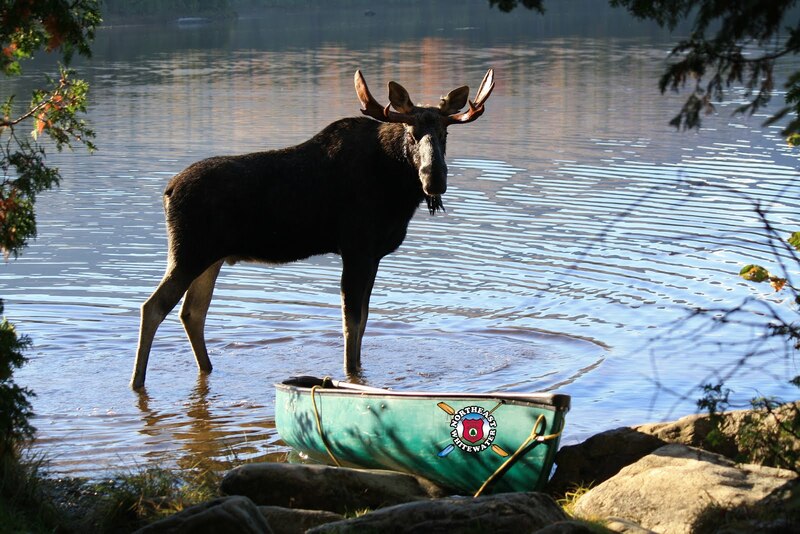 All who want an adventure, can get it, right here in Maine at Northeast Guide Service!